(map) Looking for a “brews-cruise” that’s really close by? 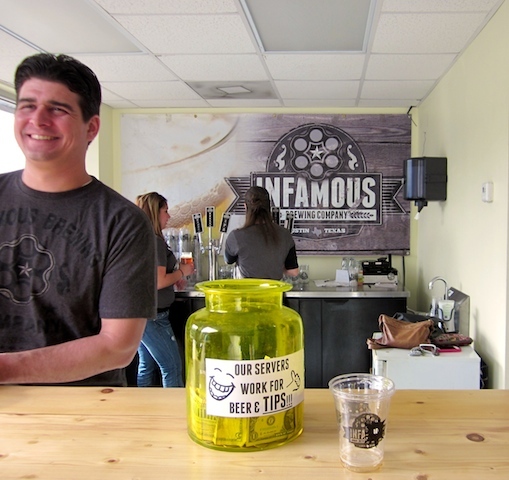 “Hops” on over to the brand-new tasting room at Infamous Brewing off Hudson Bend Road. Since just starting to brew last year, these guys have become, well, infamous for their IPA, their Hijack cream ale and Bugsy’s Brush Fire amber. 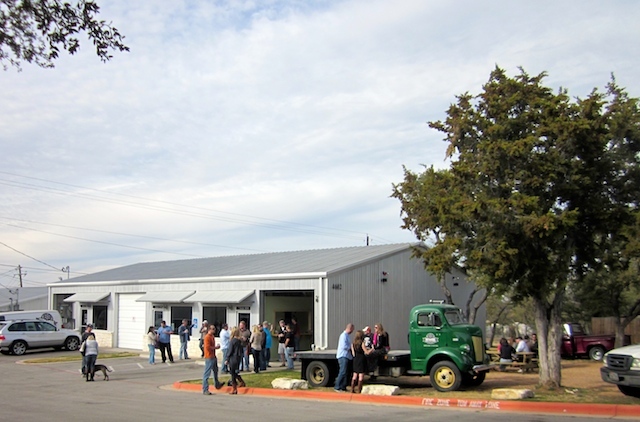 They’ve gradually expanded the brewery and just opened a tasting room on one end. 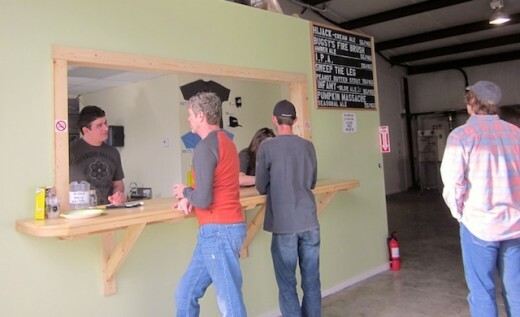 Inside the tasting room, you order from one of the volunteers at the counter. 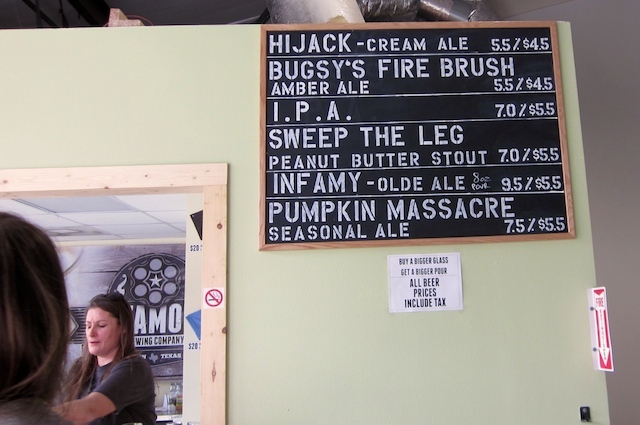 The beer menu changes, but always features the classic hits. 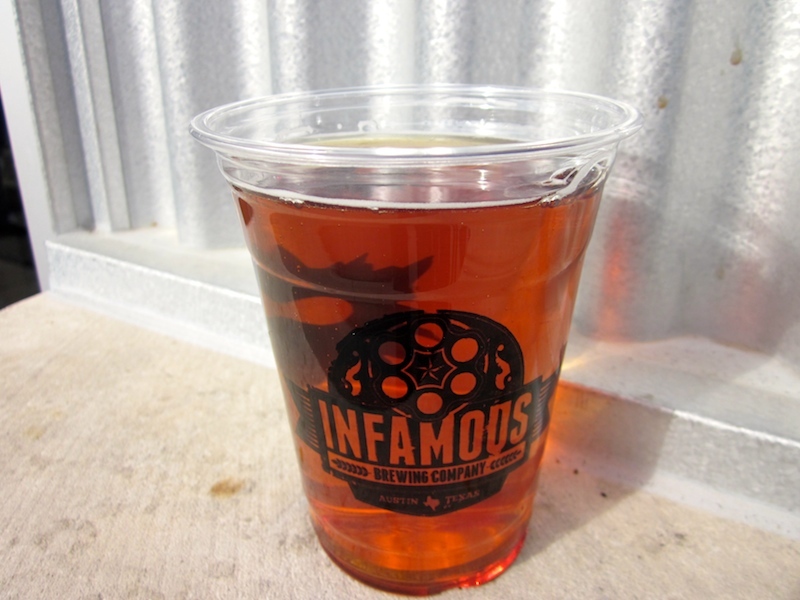 Servers work for beer! So if you’re really a fan, ask about a gig here. 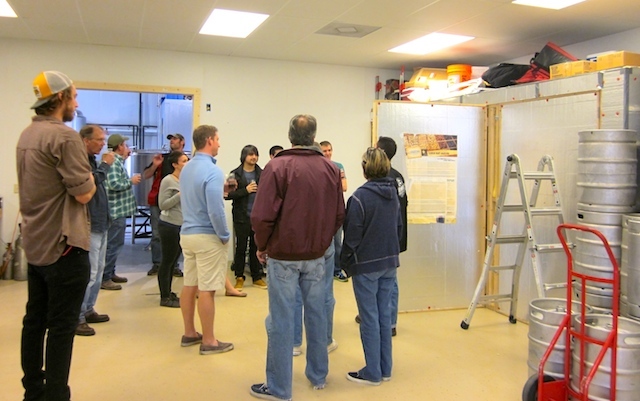 Below, one of the brewery tours in progress. Once you get your beer, there are tables inside and outside. 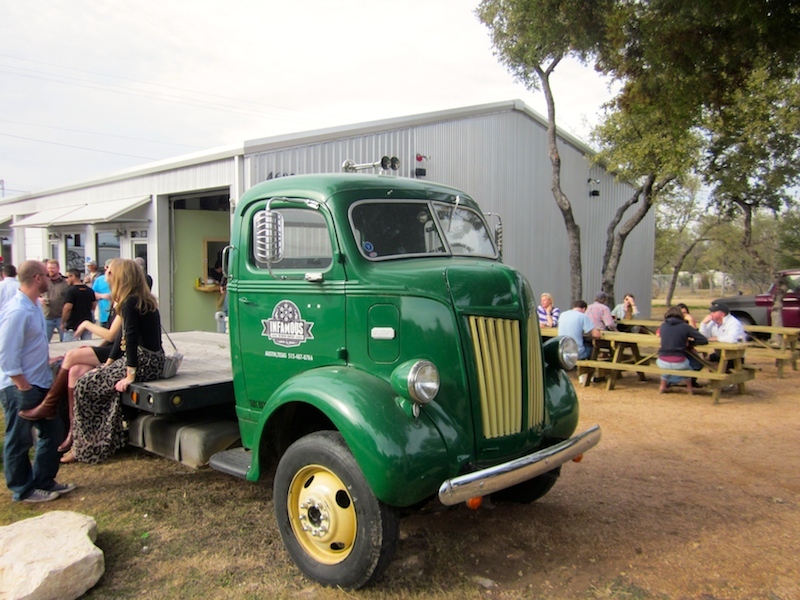 Or you make want to perch on the funky vintage Infamous truck. 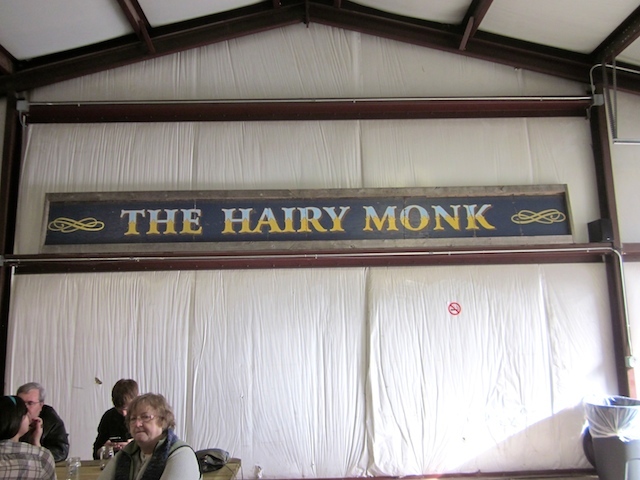 (This sign is from the bar where two of the founders met.) Cheers!